Our IVF journey began at the end of 2008. I had a laparoscopy to explore possible reasons for painful periods and it was discovered that I had endometriosis, which I had actually suspected for sometime. This together with other factors meant that David and I were going to find falling pregnant very difficult. The doctor told us that the treatment for endo was a 6 month course of drugs that would effectively put me into the menopause. There was no guarantee that this would make me better or make falling pregnant easier. The other way that it is thought endometriosis can be relieved is by falling pregnant and giving birth. This we knew we could not do without help and so we started researching IVF. We went to a clinic in Tunbridge Wells that treated NHS patients and private. The NHS waiting list was long and because of my age we were urged to try privately which we were keen to do anyway as we really wanted to have a baby. This blog entry documents our IVF journey starting in January 2009. I am 32 years and one month old. I have been TTC since May last year. I have since found out that I have endometriosis and some male factors. Yesterday I had a laparoscopy. The doctor confirmed that I have pelvic endometriosis and some scarring on my left tube. They did a dye test and at high pressure they were able to push the dye through my tubes. The doctor has recommended 6 months of injections to control the endo. 6 monthly injections called GNRH analogue. It is my understanding that these will stop me from having periods and so stop any chance of me conceiving naturally. If I cannot conceive naturally I would like to start IVF straight away. Should I talk to my doctor? Can anyone help me? I am waiting to start my first IVF cycle. I go for my baseline scan on 5th January 2008 and then start injections. Aiming for egg collection on 16th January. I am quiet overwhelmed with it all. I am scared of not giving this my best shot because I am stressed and scared. I am worried about having to work when all I want to do is focus all my energies on this chance. I am new to the site and new to IVF. This will be mine and my DP’s first cycle. I can currently think of nothing else, to the point of being quite obsessive and I thought it might help to share concerns, worries and questions with others. I am currently on contraceptive pill and have a baseline scan on 5th January 2008. Then injections start and we are aiming for egg collection on 16th January. I am really scared and unsure of what to expect. I am worried about coping at work. I am a primary school teacher. It is nice to be able to talk to people who understand. My parents live in Spain and my sister is in Australia so I am finding all this quite hard. My DP is brilliant but at this early stage he is not seeming to be as concerned as I am. And I am glad of that really. I need him to be the strong one! I have to have two injections a day into my thigh starting 5th Jan.
One is a syringe and the other is a pen. I cannot remember what they are actually called. Hang on let me see if I can find the bit of paper. The pen is Gonal-F and the the other is Seprecur? Then before EC I have Pregnyl? I am trying so hard to be healthy but it is as though just as I need my body to be at it’s best it is becoming susceptible to everything. Being a teacher is difficult as there is always an illness of some kind going round. Today we had the baseline scan that we needed to get the go ahead to start our first cycle of IVF. The nurse had some trouble finding one of my ovaries but then it was okay. My uterus lining was lovely and thin as it needed to be at this point of my cycle. We had a recap on drugs and dosages and how to give the injections, so now we are good to go! David and I have now started the injections. Last night went well. I got really scared and cried before the needle was anywhere near me. After all the fuss it did not really hurt, just a scratch. David was brilliant, I love him so much. Tonight was a bit easier but not much because there were two injections, one in each leg. We had a bit of spillage from the stimming injection. I cried again. I get so scared. I spent the whole night tonight reading about IVF. What to do, what not to do, what to eat, what not to eat … I want this to work so much. I want us to have a baby so much! I really want to do some reading but DF is not at all sure it is a good idea. Today we did the injections without me crying. I am getting brave. Brave and tired! Tonight the injections went well. No tears from me. I am starting to get a bit bloated and uncomfortable now. I have started using a hot water bottle. I am also feeling very tired. Had a good day at school and then left straight away at 4pm. I went back to David’s Mum’s and fell asleep on the sofa. We were there for tea and had a Chinese takeaway. We had to do the injections in their kitchen. It was good to talk to them about IVF. And just to chat really. I like spending time with them. By about 8.00pm I was starting to feel really tired and we went home. I really needed to do school work but was just too tired. My school work is stacking up at the moment and I am quite worried about it. But though I do want to get it done I also don’t want to stress about it too much and ruin our cycle. I want this to work so much! Today I stayed in bed all morning working on my laptop. It is more comfortable there than cramped up on the sofa. I can definitely feel things changing inside of me. I had lower back ache today, especially when sitting in the car. Today I woke up feeling sad and irritable, with an urgent need to clean the house. Not so much tidy but really clean! We left for the clinic calling in at the doctors on the way. The surgery had messed up my blood results again! I hope that the clinic will understand that my doctors are just useless. Clinic was brilliant! My uterus lining is 12mm which is better than needed and I have 11 or 12 follicles on my left ovary and 6 or so more on the right! That is very exciting news and we are on course for egg collection on Friday. I am very encouraged and excited. My injections hurt tonight! Today we went to the clinic for our second scan. They had no problems finding my ovaries this time, they are virtually touching! We have approximately 20 follicles and are hoping for about 14 eggs. About 80% of those should fertilise so we could have up to 11 embryos!?! No school now for 2 weeks. The wait begins! The egg collection went well. I was so nervous until I passed out from the sedation. They got 20 eggs from me which is brilliant. Fingers crossed! Today I tried to rest as much as possible. I was still in quite a lot of pain. The morning began waiting for the telephone call. When it came it was disappointing news. Of our 20 eggs only 16 were mature and of those only 7 have fertilised. They were not able to tell us why. Hopefully we will find out more when we go back to the clinic on Monday. The embryo transfer, all being well, will be at 1.30pm. All being well. It is all just a waiting game now! Only 7 of our eggs have fetilised and that was with ICSI! What makes eggs not fertilise? After lunch we drove to the clinic. They told us that of our 7 embryos we had one grade 1/2 and one grade 2 that could be put back in. The other 5 have not done so well. They think that this may be due to male DNA fragmentation. They said that before another cycle of IVF we would need to have more tests for this. Now though we must focus on the fact that I have two embryos inside me that just might grow into babies. Our babies. I am resting as much as I can until at least Friday when, if implantation is going to happen at all, it will have happened! Today David made me breakfast in bed. Eggy bread – good protein! I phoned the .doctors to get signed off work for the two week wait. Today I plan to stay in bed, reading and doing not much on my laptop. Does positive thinking include planning a nursery? I have dull achy pains in my tummy but I have had these since the egg collection. Julie phoned today, she is trying not to be too excited. I don’t feel excited at all! Woke up with blood in my nose this morning, I’ve not had any other signs or symptoms. I think that David is getting fed up with me worrying over every twinge but that is what this time is about, worrying and hoping! I feel sad today. I think it is a mix of not feeling anything baby wise, of not knowing what to do for the best and for spending the best part of a week at home on my own. I did get dressed today for the first time in a week and it was nice to feel part human for a while. I just want to know whether I am pregnant or whether I can start living my life again!?! No pregnant feelings at all today. I wonder what is going on? I am getting very greasy skin and spotty. No real signs though. None at all. 8 more sleeps til test day. Please let me get a BFP! Please let the embryos stay alive! Woke up with a pain in my tummy this morning. A different pain and just a strong feeling that this cycle hasn’t worked. I just don’t feel pregnant at all. I can even fit back into my size 8 jeans with no problem. That surely can’t be a good sign!?! I don’t know how I will be if I am not pregnant – I don’t know how I will feel!?! 4 sleeps until test day! Today I went into Maidstone to get my eyebrows done. I feel a bit more human now. I had planned to do other things but I cracked and bought an early pregnancy test. I did it in the toilets in House of Fraser and the result was negative. David was cross with me at first for doing a test without him. I just felt so sad and I am definitely having period pains now. It would have all been so perfect. I just assumed it would work! Now if we start again in April, the baby will be born in December. I don’t want to wait! Michele has been fantastic today! I celebrated with coffee and cola! How soon can I start again? Today should have been test day but instead we phoned the clinic to advise them of our BFN. They said that they would phone us back but never did. It was snowing today and the clinic was closed apart from emergencies. I will try to call them tomorrow. Spent two hours with Clare and Rohan today. It was really nice. Rohan has grown so much whilst in India. Seeing him makes me want a baby of my own so much. I hope that we can start IVF again soon. Today we went back to the clinic. Our NHS referral is confirmed and we can start again as we had hoped – ready for the Easter holidays. Our scans are all booked in and we should, all being well, start the injections on Monday 23rd March 2009. 6 weeks from yesterday. It seems such a long time away. Today is cycle day 33 and still my period has not arrived. The IVF is going to have to be delayed. I am not even sure I have ovulated yet. And I know that the more I worry, the more I fret, the later it will be! I phoned the clinic today. Our IVF cycle has to be delayed for one week. Our baseline scan will be Monday 30th March 2009. Baby twins would be due on Wednesday 9th December and a single baby would be due on 31st December 2009. Dear God, please let it work this time. Please let it work, Amen. IVF has been postponed again as I have not started bleeding. I am so cross, hurt, upset, bitterly disappointed and feeling utterly let down by my own body! It is just a waiting game now. I hate waiting! I am sad and fed up. Was supposed to have baseline scan for second ICSI on Monday, but I came off the pill on Thursday and AF has still not arrived. I am so fed up and feel like my body is really lettiing me down. Is it possible to do anything to make myself bleed? I went to the clinic today as I have not had a bleed since stopping the pill on 26th March. I am now having to wait for two weeks (I hope) until this natural cycle comes to an end and then I will start injections without going on the pill. Have to try and avoid getting any cysts as this would mean not being able to start treatment. Is drinking lots of water supposed to stop you getting cysts? If IVF works this time our baby will be due on the 5th of February 2011 and twins would be due in early January. Please, please let it work this time! Reflexology on Monday at 5pm. Hopefully that will kick start my body into action! One session of reflexology yesterday and today AF arrived! I am so happy. Now just hope that the scan is all clear, no cysts as I have not been on the pill. Will call clinic tomorrow and hopefully have scan on Thursday and be able to get going! I have a hectic week at school as I teach Year 6 and it is the last week before SATs. Egg Collection and Embryo Transfer are planned for SATs week, couldn’t be worse timing but I have to get into a mindset where I don’t care, or at least put myself first. I cannot fit into any of my clothes! I was at the clinic today and had a scan with Sherry. One more day to get through and then ET and then two weeks off. The clinic phoned to say that all 12 eggs were mature and 11 of them have fertilised. We are very excited now. Hope they are fighters this time. I am officially PUPO! One 7 cell grade 1 and one 8 cell grade 2. The transfer was difficult and painful as I have a very long cervix. I started off feeling positive but now I am not so sure. None of the others are good enough to freeze at the moment but they are going to keep them til Saturday just in case. I am in bed now with apples, cheese, brazil nuts, pineapple juice all around. David is convinced that it will work this time and we will have one baby! I should have heard from the clinic today about our remaining embryoes but they did not get in touch and so I am assuming that they didn’t make it to blastocyst stage or if they did they were not good enough to freeze. I wish they had phoned though either way. Now I am feeling really down and thinking that if the ones at the clinic did not make it the ones in me probably have not either. I just feel so sad and have done ever since embies were put back in really. DF is worried about my lack of PMA! I have not been feeling anything at all. Have just spent my time reading and on my laptop in bed. I am off work for two weeks now and need to think of nice positive things I can do. Any ideas anyone? If this works then our baby would be due on the first of February 2010. Twins would be due on the 11th of Jan. I have had a more relaxed day. On Saturday it is mine and DF’s engagement party. We are having a barn dance. Not sure I will be doing much dancing but I have spent much of the day focused on the planning for that. Well, I am now 6dp3dt – I feel nothing I have to say apart from the side effects of the lovely little pessaries. I am trying to relax and rest my body but keep my mind busy with school work. Today I am going out for lunch so that will be nice. I am praying today that I am pregnant. I have even been thinking about names. For a boy we like Joshua and for a girl Grace. If we were lucky enough twins the second boy would be William or Jacob, and the second girl would be Beth. We have always had those names in mind amongst others but now we are settled on those. My Sainsburys shopping arrived today and I am now the proud owner of 6 HPTs. Not sure when to do the first. Don’t want to test too early but also don’t think I can wait 8 more days! I am getting confirmed tomorrow by the Bishop of Dover. I am very excited about that. I am also still eating high protein and loads of fruit and veg. Still drinking pineapple juice and have just got a new bag of Brazil nuts, though I still have to eat those with nutella. I am excited now but scared too, and so tired of waiting! I cracked yesterday and did a test, only to get a BFN. I am telling myself that it means nothing, it just shows that the hormone trigger is gone. We will see what happens as the week goes on. I should not have tested really but I just really want to know. Today our IVF journey ended again. Same way, same day as last time. Dave says that we can just try again straight away. I am going to quit my job and do supply teaching from September. We have worked out a budget to make this work. I love David so very very much. I have decided to hand in my notice today, as a teacher to leave in July we have to resign by 31st May. I have put feelers out about supply teaching and seem to be getting a good response. It doesn’t have to be a permanent change but I feel at the moment it is the right decision to make, for DF and I. We need to give our next cycle the best chance that we can. I have been away for about 3 months but I am back now. I have been watching the board and thinking of all of you but just needed a break from posting. Since last here I have had a terrible attempt at a third ICSI cycle. I did all the injections and when I got to egg collection I had already ovulated and so there were no eggs. My fiance and I were absolutely devestated as you can imagine. We are going to try again on the 29th Spetember all being well. This will be our last go for a while as we get married 11months today and so will focus on that for a while. If this next cycle does happen to work we will be getting married with a 2 – 4 week old baby!!!! Hope to hear from everyone. I am still feeling so sad and just need to believe that this does work. Well we are now on day 3 of stimms. After an unsuccesful try with Menopur which resulted in early ovulation we are now back on to Gonal F. This is the worst cycle for me so far – our 4th go really. I am just an emotional wreck. I cannot seem to hold it together at all. One minute I am fine then I am shouting and screaming with anger then really sad and collapsing in floods of tears. I am really irritable too – so all in all a nightmare to be around. I just don’t know what to do. I can’t feel positive because we have been let down so badly before. Any tips on what I can do? I want to give this cycle the best chance I can. Well, we went to the clinic yesterday and are going again tomorrow. Yesterday was really just to see if I was responding at all to the drugs and I am with a lead follie on each ovary and a few more smaller ones that are still too small to measure. Also the lining is thickening nicely which I was worried about as I was still bleeding until Day 4 of stimms. I guess tomorrow we will know more. I thought EC might be Monday but it could take a little longer this time. We had our final scan today. Hopefully going to get about 10 eggs at EC which is at 8.30 on Monday morning. As I ovulated early last time they are getting us in at 32 hours after trigger rather than 36. I am quite worried that this will have a detrimental effect on the eggs, but no one at the clinic seems worried. So now we wait and hope that we do not lose all our eggs like last time. So here we go again …. I am very excited and scared about tomorrow. Wondering out of 6 how many will make it to the next stage. This will be our third transfer, ICSI, hoping and praying that it will be our last for a while. That our embies will go in and settle down for 9 months! We are in at 8.45 tomorrow. Should really be going to bed but I know I won’t be able to sleep. Have been getting things ready for when I get home tomorrow – brazil nuts and vitamins by bed with big stack of books and DVDs, my laptop and warm snuggly pyjamas. I am staying at home undisturbed for 4 whole days! This is a cruel cruel game! I am due to test tomorrow or Wednesday and I am too scared to do it. We tested this morning. We both really thought that it had worked this time. Not bleeding yet but that is because of the Gestone injections. Our plan now is just to enjoy ourselves over the next few months. We are going to take a break and try again next year with a different clinic. 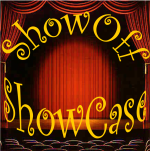 Thank you for sharing this and linking up to ShowOff Showcase!